Here, in "The Marketplace", you can find an explanation of the versions of the novel which are available for sale, and the official sales platforms where you can get copies. Basically, at this time, there are two versions out there. This is the illustrated PDF version. [ISBN # 978-0-9862 122-0-8] At this time, it is officially available only through my sales platform on Sellfy (any other sales venue is not legitimate). If my math is correct, it contains 14 portraits and 46 illustrations. I love them all, and think they are a real boost to the presentation. Thank you, Katalina Gutierrez, for your wonderful art! 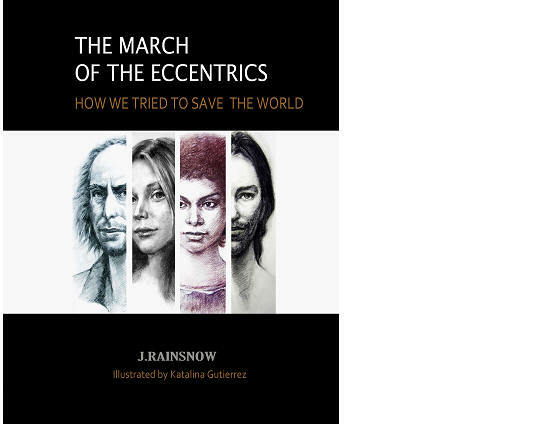 For this March of the Eccentrics option we are asking $10.99 U.S. 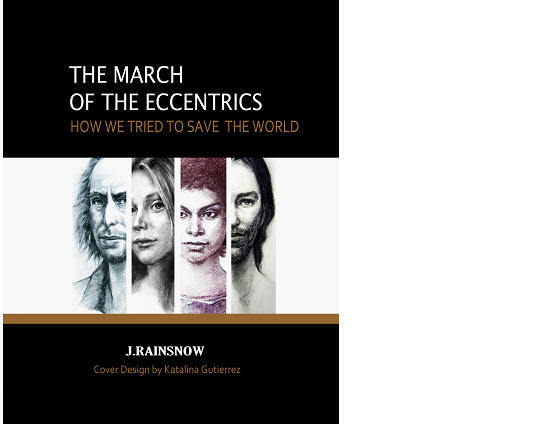 Note the subtle difference here: this version's cover does not say "Illustrated by Katalina Gutierrez", but rather, "Cover Design by Katalina Gutierrez." This is the KDP (Kindle Direct Publishing)/Amazon version, which we decided to publish without interior illustrations for a number of technical reasons. But that's OK! I love it, too! [ISBN # 978-0-9862 122-1-5] The price we are asking for is $5.99 U.S.
My own, personal purchasing recommendation? ...The world is too filled with 'either/or.' Why not buy both versions? !